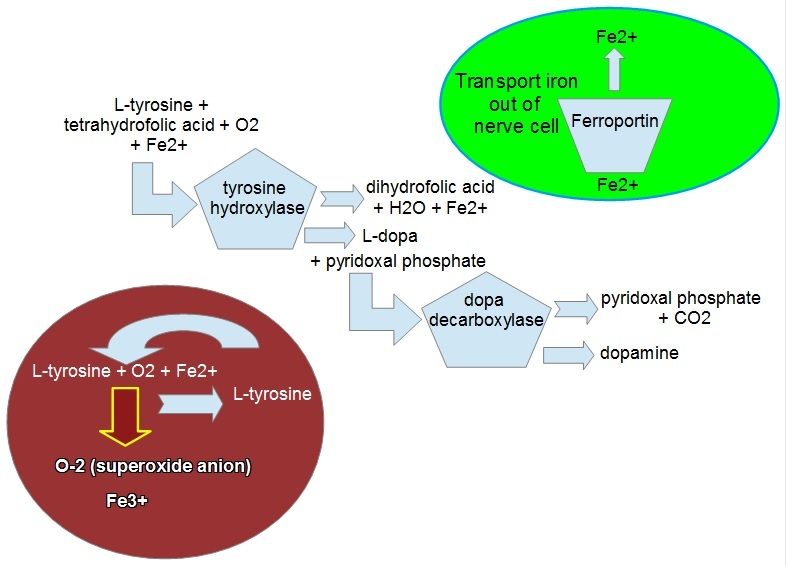 A method for inoculating large fractions of central nervous system cells. 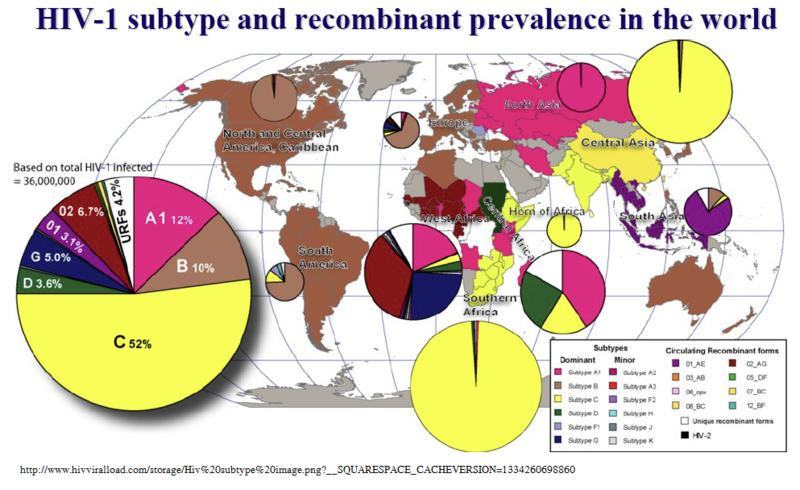 Currently, the best inoculation fraction for primate brains is about 2% of the neurons. This is done using injection into the cisterna magna (a small cerebrospinal fluid cavity at the base of the brain) or else intravenous injection. For some diseases this will help. For others, it will not be nearly enough. So, I think about how it might be possible to inoculate most or all of the large brains of humans. Here’s an interesting paper that suggests a strategy for successfully dosing of neurons in the deep brain. CD898hc single chain antibodies could be made, and their epitope binding region isolated, That binding region could be tested on the surface of a virus capsid to use for targeting to the brain. Would need to test whether a virus capsid would cross the blood brain barrier as well as an antibodies do, but I’d give it decent odds. I think that HSV would be a good vector to work with. AAV is nice, but it’s quite small, and we need a lot more room in the vector if we are going to do base editing. 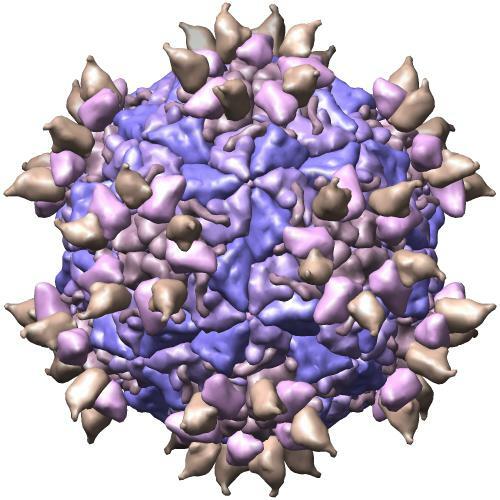 Here’s a rendering of a rhinovirus that gives some idea of what such an engineered virus might look like. 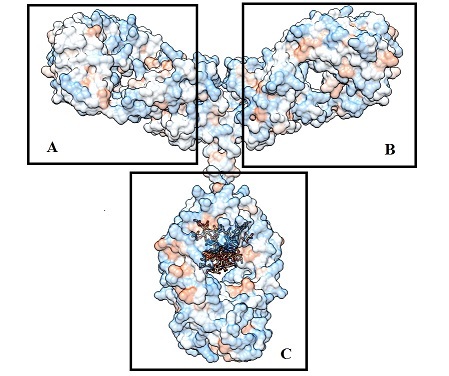 Here, the F’ab region, the functional part of the antibody that has the epitope binding region is attached to the rhinovirus’s cell receptor binding sites. In an engineered virus, those little pigtails would be attached to the virus capsid, and the flattish binding region would be sticking out. Cold virus with antibody Fabs attached to its binding sites. 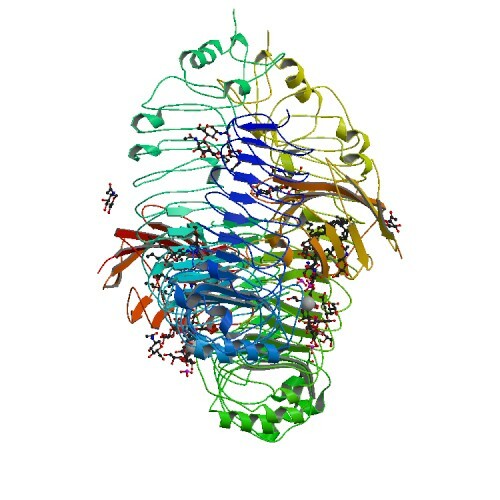 https://www.rcsb.org/structure/1rvf – Fab complexed with human rhinovirus. Now, this cold virus is smaller than the Herpese Simplex Virus (HSV) is. Rhinoviruses (cold virus) are about 30 nanometers in diameter. The inner capsid of herpes simplex virus is 125 nanometers, 183 times the volume of the most common gene therapy vectors. So, it’s about 4 times the diameter, of this example I’m using. The most commonly used virus, Adeno-associated virus (AAV), is 22 nanometers, even smaller than a rhinovirus. Adenovirus is 65-80 nanometers in size. What is a Fab versus whole antibody? A whole, idealized (because real antibodies flop around) human IgG1 antibody is shown below. The little molecule on the left is what the epitope binding region (hands of the Y) bind to. A and B are roughly the Fab regions. C is the heavy chain. This C region is what the immune system binds to. Almost all antibodies have two protein chains that form the binding region. 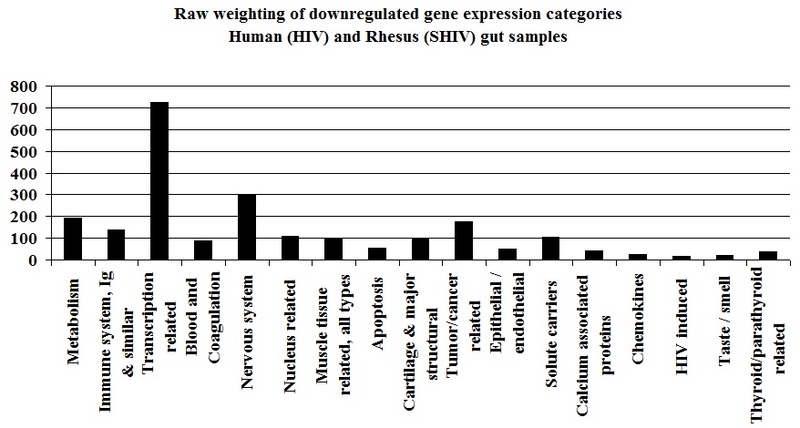 But that makes it very hard to use molecular biology to express it. So, a special set are used from one set of animals that have single chain epitope binding regions. A & B – These ends bind to antigens. C – The Fc chain. Trim21 binds to this. 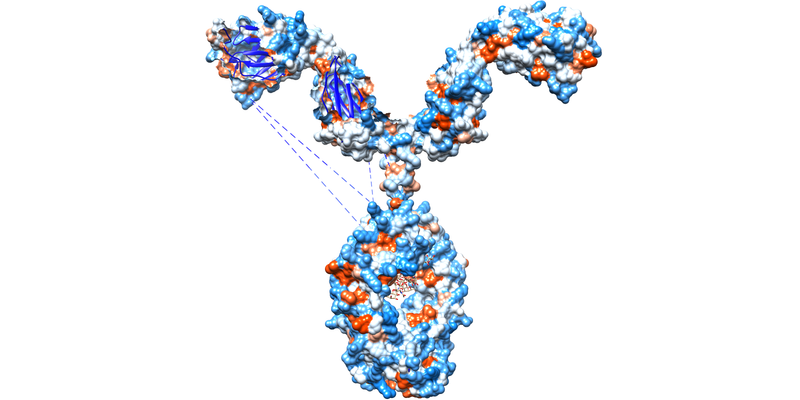 Below is a model I tweaked to remove the light chain, leaving only the heavy chain part of the antibody. This is a good approximation of what the single chain antibodies are. As much of that binding region as needed can be used. It’s hard to predict exactly how long is optimum. I’d try shortest possible, cut it mid-site, and then at the base of the Y. Like many such notices in the pop-sci press, it is hard to figure, and the headline is overwrought, as is the article. 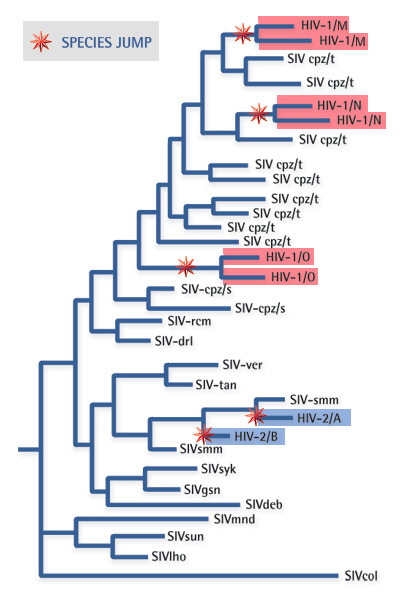 HIV is a single stranded RNA virus, not a double, and has no dsRNA stage. So as described, this couldn’t work against them. Smallpox is a DNA virus, so this wouldn’t work. Ebola, hepatitis viruses and influenza viruses could be susceptible to this method. My guess is that they might have a small molecule that ramps up Rig-1. Is this worthwhile? Certainly, as an anti-viral for a limited subset of viruses. What is it? I’m not sure. I’d guess it’s a small molecule, but don’t hold me to that. I’m kidding about the “killer app” of course. 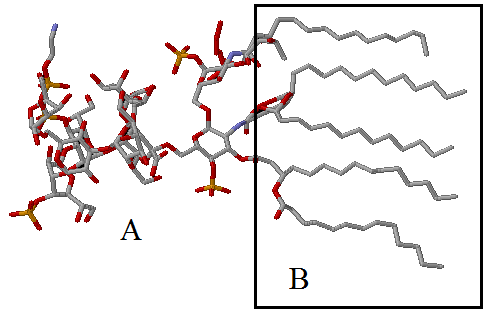 LPS – Section A, on the left is the poly-saccharide part made of sugar molecules. B, on the right, is the lipid, or oil part. Rendered using Rasmol. Lipopolysaccharide (LPS), also known as endotoxin, kills. LPS is the broken down cell walls of bacteria.LPS triggers signalling of toll-like receptor 4 (TLR4). TLR4 is one of a pair of large protein molecules that manage to recognize this pattern in bacteria. If you had no TLR4, you would be in serious trouble, because you couldn’t respond to the presence of infecting bacteria. So animals evolved the TLR4 receptor so we can detect their presence, and every animal has it. The problem with LPS is that it causes septic shock. Injection with purified LPS is the lab model for sepsis. In animals, the LD50 is around 6 milligrams per kilogram of body weight. A cluster of Escherichia coli bacteria magnified 10,000 times. (Wikipedia commons) You can see the cell walls of these bacteria. The lipid tails of LPS point inward, toward the center of the bacteria. The visible surface is saccharide (linked sugars). A 25 gram mouse only needs 150 micrograms (0.15 milligrams) to get an LD50 dose. Rats are a little better. A lab rat weighs about 500 grams, so it needs 20 times as much, or 3 milligrams. But the injections for rats are also larger, so you will usually kill your rats with uncleaned native preparations. There are two ways to clean the LPS out. You can use ultra-centrifugation in cesium chloride gradient, but it doesn’t always work. You can also use a methods that has the DNA of the plasmids stick to a surface and wash away the LPS. This loses quite a bit of DNA. And there are kits for it that are supposed to let you clean LPS on the lab bench – easy-peasy. Just one problem with that. I couldn’t make them work well enough. And nobody I know has done it either. A professor said that it nearly killed his lab mice when he injected them. So, yes, those kits work. Without it, his mice would have croaked. Instead, they just got very sick. They work, but not well enough. Seriously, I tried to make those kits work for almost a whole year. When I couldn’t do it, I tried creating new cleaning protocols of my own. For instance, I mixed the plasmid preparations (we call them preps) with oil. Then I let them separate, drew off the oil and repeated it. That also worked – some. It was incremental, and removed about 7% of the LPS with each iteration. To remove 99.5% of LPS in the prep, it would take 75 iterations – in theory. But I lost too much water each time. After 10 iterations I had half the fluid I had to begin with, and I had lost a lot of DNA along with it. It may be possible to further protect against LPS by adding LALF (derived from Limulus polyphemus amebocytes ) to the preparation. But I haven’t tried that method yet. It’s partial. It might work if you combined the clean prep kit with it. Emphasis on might. It should generate an immune response to the LALF protein though, so it may only work the first time you inject. But even if LPS doesn’t make your animal sick it is highly activating to the immune system. For gene therapy, you don’t want that. In gene therapy, you want the immune system to forget about what just came in, “Nothing to see here. Move along. Move along.” For gene therapy, you do anything you can to evade the immune system’s notice. And that is why I send my stuff out to companies that specialize in producing clean preps. They either use the ultra-centrifuge method, or they use the method that adheres DNA to a surface and washes away the LPS. When they are done, they test it using Limulus amebocyte lysate (LAL) to certify the LPS level. You get certified material and you won’t kill your mice. You won’t make them sick. You will minimize immune system activation. It isn’t cheap at $10,000 or so, but it’s the way to go once you get past cell culture.